You probably know that Andy shot nearly 500 Screen Tests! The few available online I’ve featured here on Edie Pink. Andy showed the films silently. He never put any music to them. Sort of. When screened at The Factory there could be music and other ambient sounds. 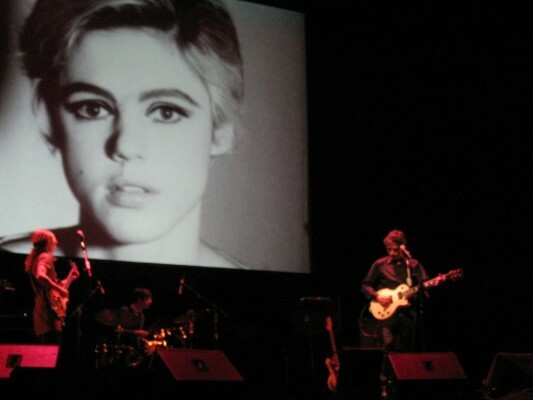 And as projections at Velvet Underground performances and Exploding Plastic Inevitable MultiMedia events they were again accompanied by music. So the silent Andy Screen Tests were never set to music, but they were often around music. For me the most sublime power of these durational film experiences does come in a silent viewing. But there’s no doubt that the easier access of the Screen Tests accompanied by the Most Beautiful songs from Dean & Britta does make them accessible to a new and wider audience. The name 13 Most Beautiful comes from something Andy did back in the 60’s which was to create collections of Screen Tests for showing to particular audiences, like 13 Most Beautiful Women, 13 Most Beautiful Boys, and 50 Fantastics and 50 Personalities.